Baldwin Borough Public Library Star Party is July 6, 2018, 8:15 PM – 9:15 PM according to the library website. 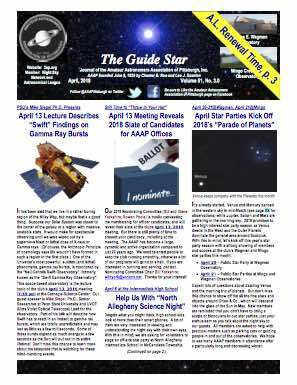 All ages are welcome as we the Amateur Astronomers Association of Pittsburgh for the Baldwin Borough Public Library present a short astronomy overview followed by a guided viewing of the wonders of the night sky through telescopes. Please bring along your own binoculars if you have them! Registration required. Friday, July 6 at 8:15 pm (in case of inclement weather, the makeup date would be July 13 at 8:15 pm). CONTACT: Dolores Colarosa 412-885-2255 colarosad@einetwork.net AAAP Member Volunteers would contact Tim K.